Meet Azalea…our newest recipient! Azalea suffers from seizures and is going through testing to find the cause. 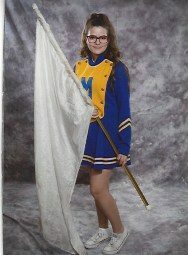 She is a member of the color guard and AVID program at her school. Danielle’s Gift was happy to step in and offer some support. Thank you again to all who donate, support, or volunteer…it is all because of you that Danielle’s Gift is able to make a difference!! !